Thanks to Bridget, I contacted Tony Dobbins at Bangor University who features in this R4 Laurie Taylor programme about redundancy and the value of re-skilling after redundancy at Anglesey Aluminium which closed in 2009. He is currently researching into post-employment at Wylfa – listening to this interview, gives some idea of the problematics facing people when large industrial complexes close down in rural locations – and echoes what some of my interviewees said to some extent, when they said that something like Wylfa A or B is just too big an industrial development for a rural island the size of Anglesey. I was talking with a friend the other day about PitL – and the many different locations that you can see Wylfa from – across the bay, the brow of many hills, etc and she mentioned this film. It’s brilliant – and although the Tower is in a very different location and scale to Wylfa, it has an intriguing narrative and approach. The big wage and the comfort of work will come to an end,And your culture and your language will perish. After interviewing Elfed in Cemaes, he gave me a copy of a poem. I think this is Elfed’s visual interpretation, and not T.E. Nicholas’s (the poet). However, the poem is very interesting in what it anticipates in terms of the effect of Wylfa on Anglesey. The poet, T. E. Nicholas is a very well known Welsh poet: he was born at the turn of the 20th century and who lived until 1971. He was a minister, and after returning from the States, became a vocal socialist. He worked in a small village near Swansea until 1914 and then, in the face of opposition from other sections of the ministry, he became a dentist. He was also a prolific poet. The main themes of his poetry were injustice, the struggle between the working class and the power of capital, and pacificism. He was incarcerated in Swansea prison for his socialist views and while in prison translated the Internationale into Welsh. 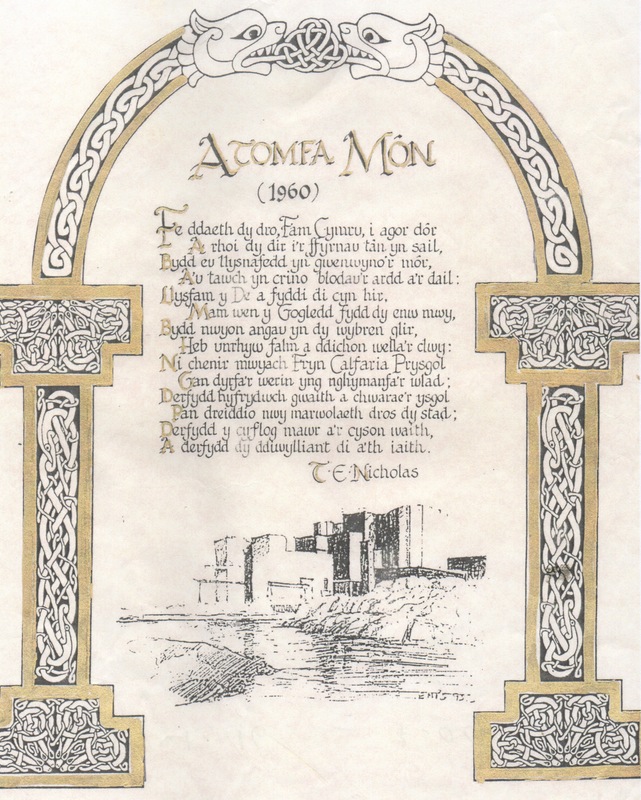 In his later years he embraced nationalism – and this poem, Atomfa Mon, speaks about how Anglesey will ‘become the stepmother of South Wales’ – in terms of producing energy for elsewhere, at the cost of polluting the seas and air. He goes on to anticipate the ‘death’ of ‘steady work’, culture and the language. As for the date of this poem, I am not sure if it’s correct. Possibly there was talk of Wylfa in 1960. Construction work began in 1963…. A fortnight ago, I spent some time interviewing local people who live in Cemaes and Llanfechell about before, during and after Wylfa and what it means to them. The interviews raise themes around work, culture, the landscape and language. It’s been inevitably hard for interviewees to separate out thoughts and feelings about Wylfa A and the proposed Wylfa B – the impact of the demolition work that Horizon has undertaken, has shocked many people – even more so, since Horizon still don’t have a 100% go ahead from the government. Farms have disappeared, new roads are planned – this corner of the island will change irrevocably. 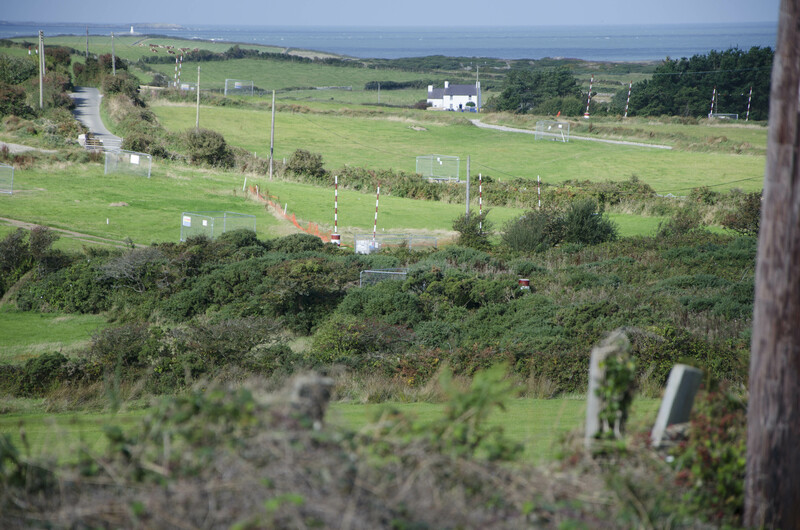 Likewise the issue of the pylons which, it is proposed, should run alongside the current Wylfa A pylons, has aroused a lot of anger because of the impact on the landscape. Photograph from the National Museum of Wales Archive. 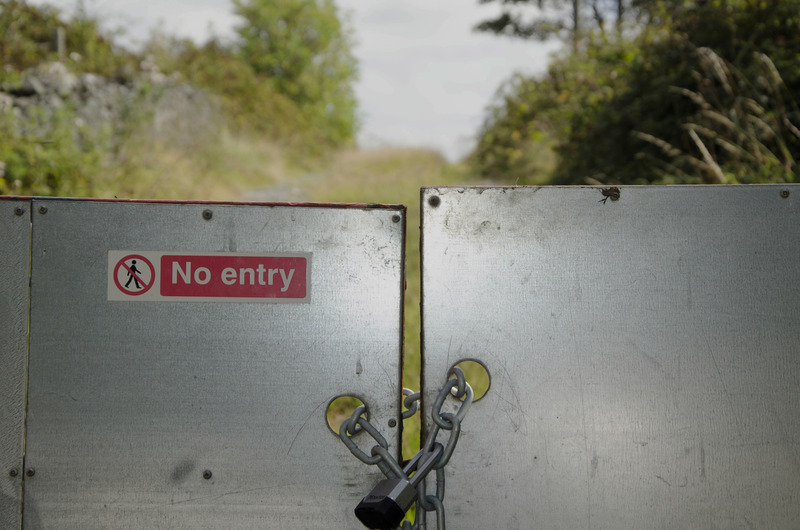 Wylfa A brought its own changes to the landscape but these issues were less of a concern to people then. Several of the interviewees noted, Wylfa A was generally greeted as the most exciting and modern thing to happen in that corner of Anglesey. Today there is more scepticism and yet a sense of inevitability. 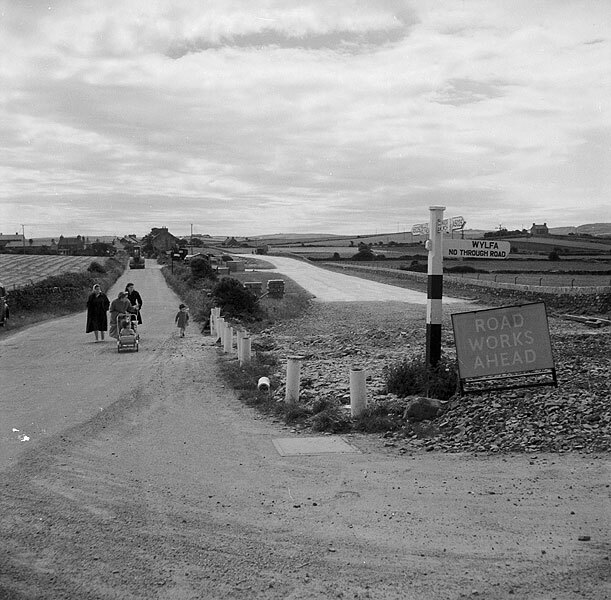 I was growing up in the area when Wylfa A was being constructed in the 1960s and was probably far too distracted doing ‘youthful’ things to notice how the use of the land was changing so radically in the vicinity of the site. Many years on, and returning regularly to Anglesey to work on this project, it strikes me now just how quickly it is changes week by week, with the the prospect of Wylfa B. Already farms and other familiar houses have been bought up and the buildings demolished, paths that were once accessible are being closed to make way for geological testing etc. and the landscape is scattered with red and white striped poles. Gaining access to purchased farms and buildings has been difficult, but the images Horizon have sent me give some idea of the early stage of the process. The images have an unusual quality about them – vacant, strange, de-peopled. On our last visit in November, these houses had already been demolished.